Média das avaliações - Baseada em 235 avaliações. 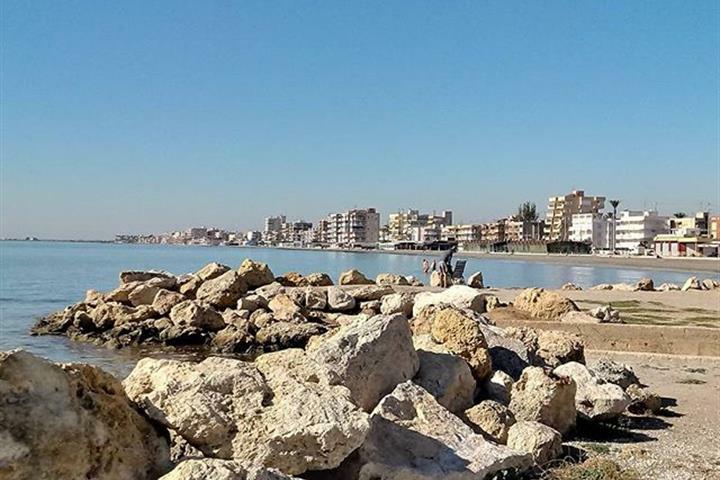 Benissa is located towards the northern end of the Costa Blanca, just off the A-7 Motorway; the trip to and from Alicante airport takes just over one hour. The town is small, but enchanting with its medieval architecture and charming plazas. 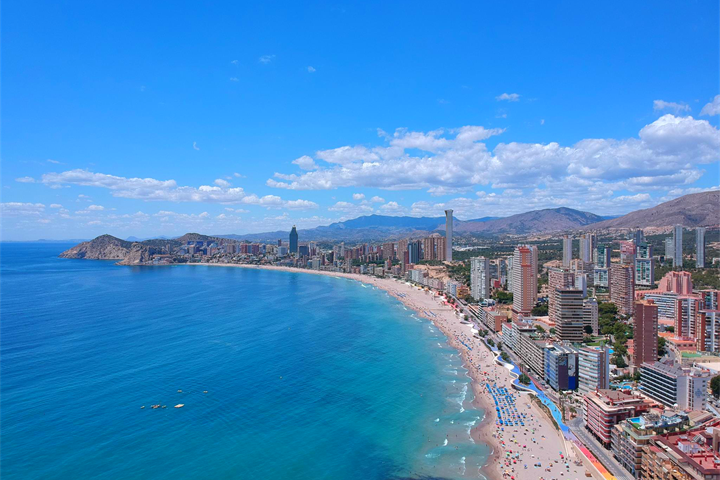 Although only 5 kilometres distance from the sea – as the crow flies, the nearest beaches by road are approximately 11 kilometres away and the seaside towns of Calpe (to the south) and Moraira (to the north east) are approximately 12 kilometres distance. The views of the Mediterranean, the weather, wild nature, the quality of the light, the towns architecture, Benissa will seduce you. The historical part of Benissa is very well preserved and has maintained its medieval character with white walls, window grids, heraldic shields and flowers hanging on the balconies. Calle Desamparados is a very good example of the medieval character of the historic neighbourhood. some time out to visit the lovely "Catedral de la Marina" (Marina Cathedral). Built in the neo-gothic style, the cathedral was only finished in the 20th Century. A hire car is definitely recommended for a holiday in Benissa. 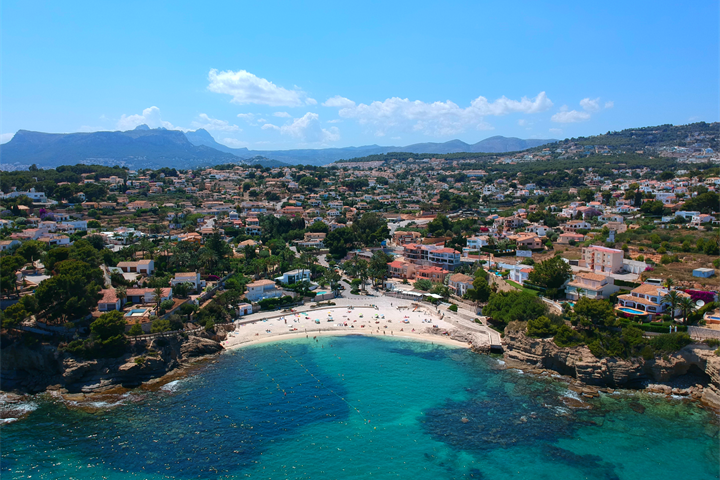 Places to visit include the picturesque town of Denia and the beachside towns of Javea, Moraira and Calpe. 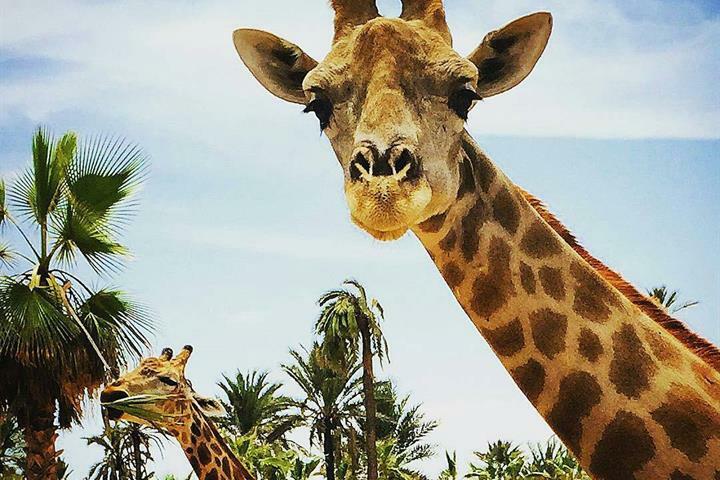 Terra Mitica is less than 30 minutes away, and is a fantastic day out for all the family. For the independently minded there are many miles of country road to explore inland, dotted with charming villages and historic towns. There are many fine challenging golf courses in the area. Try the Seve Ballesteros designed championship course at Oliva, or sample the delights of the course at Javea. There is lots of choice all within one hours drive of Benissa. The local cuisine is dominated by the bounties of the sea. Excellent rice dishes abound. However, in recent years many international establishments have opened up, offering more familiar fare for all international tastes. 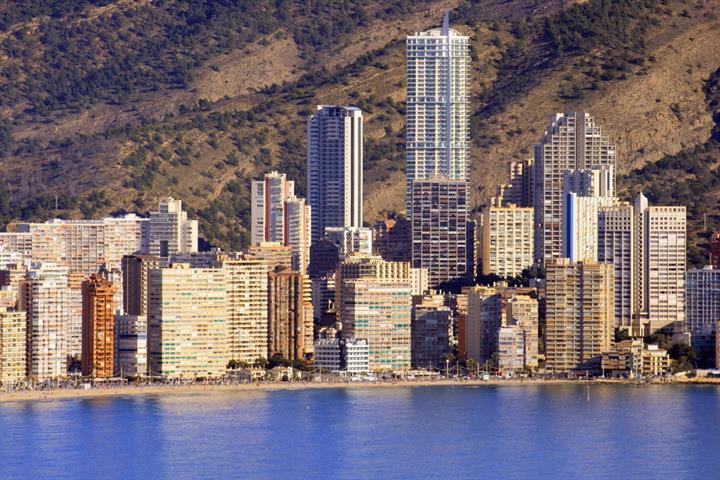 The stretch of coastline between Calpe and Moraira is home to a number of quiet relaxing bays. The scenery is magnificent; spectacular rocks contrasting with the high mountain backdrop. From many points the emblematic Peñon de Ifach can be seen. 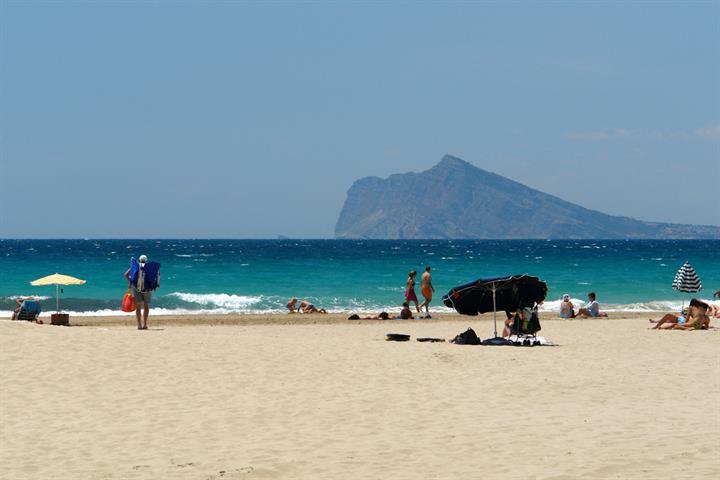 Playa La Fustera is a quiet blue flag beach with fine sand. During the high season there is a Red Cross post, plus rental of sun loungers and children’s activities to keep the little ones happy. The little beach of Cala Els Pinets is south-facing and made up of small pebbles. You can take part on an excursion from there (on foot) to a magic place called "Mar Morta i Roques Negres", which means Dead Sea and black stones. The most important characteristic of the Cala Advocat beach is the breakwater, where you can moor your sailing boat. There is a small jetty used to anchor sailing boats along the beach. Fishing from the breakwater is very popular. July and August are quite hot in Benissa, with the rest of the year being enjoyable mild. The area is ideal for holidays all year round. Nice and convenient, shopping. Consum at less than 800m walking. Benissa Costa at 5 min driving. Calpe and Moraira at less than 10 min driving.